Mayer ("Mike") Morganroth is the senior partner of Morganroth & Morganroth, which he formed in January 1989 with his son, Jeffrey B. Morganroth. 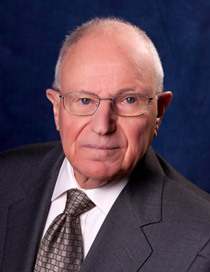 Mr. Morganroth began practicing law in 1955, and has handled legal matters in virtually every practice area over his lengthy and extensive career. Mr. Morganroth has extensive experience in complex commercial litigation, white collar criminal matters, constitutional litigation, intellectual property litigation, business matters, employment and labor matters, corporate matters, real estate matters, family law matters, probate matters, personal injury, tax litigation, bankruptcy litigation, civil rights and discrimination matters, insurance matters, securities litigation, product liability litigation, professional malpractice matters and entertainment matters. Mr. Morganroth's practice is not limited to plaintiff or defense work nor does he handle matters in a single geographical area. Rather, Mr. Morganroth performs plaintiff work and defense work and he handles court cases in numerous different courts and jurisdictions as well as arbitrations, mediations and appeals. Mr. Morganroth has handled matters and clients across the United States and in Europe, the Middle East, Canada and Latin America. He also has served as an arbitrator, mediator, court appointed facilitator and expert witness. Mr. Morganroth has represented numerous high profile clients such as, for example, John Z. DeLorean, Dr. Jack Kevorkian, Mayor Coleman A. Young, Christine Beatty, U.S. Representative John Conyers, Roland McMasters, Edward J. Holland, Jr., Quicken Loans, Daniel Gilbert, Michigan Film Coalition, Buddy Greco, Lyndon LaRouche, Geoffrey Fieger and Runaway Pictures. Mr. Morganroth has also represented many lawyers, law firms, judges, politicians, high ranking union officials, professional athletes and celebrities. Mr. Morganroth regularly takes on matters on behalf of the "Davids fighting the Goliaths" and he fights for the rights of the oppressed, those who are being taken advantage of by others and/or those who desire strong representation. Many of the matters handled by Mr. Morganroth have been publicly reported upon by the media, and there have been numerous articles written about Mr. Morganroth's accomplishments and the significant legal matters that he has handled. Represented John Z. DeLorean and affiliated entities for a period in excess of 10 years, including defending approximately 40 civil cases seeking in excess of $1.0 billion with respect to a wide range of civil claims, extradition proceedings, criminal cases, business transactions, tax litigation and real estate matters. At the conclusion of such representation, all of the cases had been resolved and Mr. DeLorean had assets totaling in excess of $51.0 million. Represented Dr. Jack Kevorkian for the past 16.5 years (the last 11 years as sole lead counsel) with respect to a wide range of matters, including criminal trials as co-counsel with Geoffrey Fieger, all of which resulted in acquittal or dismissal of charges, the successful petition for early release of Dr. Kevorkian from prison, appeals and entertainment matters, including book deals, lecture deals, and movie and documentary deals. Served as special outside legal counsel to Mayor Coleman A. Young for 20 years. Lead counsel for Christine Beatty in the Wayne County criminal case alleging perjury, obstruction of justice and misconduct in office. Lead counsel in a complex commercial matter against two large national grocery chains that resulted in a breach of contract and fraud judgment in favor of his client in the amount of $31.0 million after a lengthy jury trial. Lead counsel in an employment discrimination lawsuit against a large steel company that resulted in a multi-million dollar judgment in favor of his client after a lengthy jury trial, which was the highest judgment rendered by a federal court jury for the type of claim alleged at that time. Lead counsel in a fraud and breach of contract lawsuit against a banking institution which resulted in a $65.0 million settlement in favor of his client. Lead counsel against a medical insurance provider that resulted in a $9.0 million judgment in favor of his client. Lead counsel in a Whistleblower Protection Act lawsuit that resulted in a substantial judgment in favor of his client after a lengthy jury trial and appeal, and resulted in a clarification of the application of the statute of limitations by the Michigan Supreme Court. Lead counsel in administrative proceedings which: (1) resulted not only in restoring but upgrading the security clearance of his client, an army engineer who had been falsely accused of being a spy, from secret to the highest level, top secret; and (2) further resulted in an investigation and an official report issued through the Office of the Inspector General, Department of Defense, pursuant to a Congressional request, which formally exposed that the false charges of his client being a spy were the product of religious discrimination. Lead counsel in the successful defense of high ranking union officials in numerous different criminal cases that resulted in dismissals and/or acquittals. Lead counsel on behalf of victims from Ponzi schemes in both trial and appellate levels which ultimately resulted in favorable judgments and/or settlements on behalf of his clients. Lead counsel in a RICO and securities fraud case against a large investment banking institution that resulted in a substantial settlement in favor of his clients. Representation of several different lenders, banks and financial institutions in United States, Canada, and Middle East. Co-counsel on behalf of Lyndon LaRouche organization members in the successful defense of criminal charges that resulted in dismissal based upon government misconduct at the highest levels in connection with a jury trial that lasted approximately one year. Lead counsel in defamation cases that resulted in large judgments and/or settlements on behalf of his clients. Lead counsel in high profile, highly contested divorce and custody cases. Lead counsel in a copyright infringement case against a major motion picture company that resulted in a $19.0 million judgment in favor of his client after a lengthy jury trial. Lead counsel on behalf of national parking company in business dispute with airport authority that resulted in a large settlement in favor of his client. Lead counsel in the defense of charges brought by the Federal Election Commission against his client that resulted in dismissal of all charges. Lead counsel in the defense of a criminal tax fraud and evasion case on behalf of a prominent individual that resulted in acquittal after a lengthy trial. Lead counsel in the defense of criminal charges of insurance fraud on behalf of a prominent individual and large company that resulted in dismissal of the charges. Lead counsel against a national communications company on behalf of a business partner pursuant to an RFP that resulted in a significant judgment and settlement after a jury trial. Lead counsel and/or co-counsel on behalf of borrowers and guarantors in connection with substantial workouts with lenders and/or the successful defense in court litigation. Co-trial counsel defending a national company in an FLSA collective action consisting of 359 plaintiffs that resulted in a no cause of action in favor of his client after a lengthy jury trial in federal court. After serving in the Navy, Mr. Morganroth attended Michigan State University for his undergraduate studies, and he received his Juris Doctor Degree from Detroit College of Law (now known as Michigan State University Law School). Mr. Morganroth completed his undergraduate studies and law school in a combined total of just three years and ten months. Mr. Morganroth is licensed to practice in the states of Michigan and New York, and he has been admitted to practice in numerous federal courts and appellate courts as well as the U.S. Tax Court, U.S. Court of Federal Claims and the U.S. Supreme Court. Mr. Morganroth also has been admitted pro hac vice in courts across the country. Mr. Morganroth is a member of the City of Southfield, Oakland County, New York, Federal (Council) and American Bar Associations. He also is a member of the National Criminal Defense Lawyers Association, the U.S. Supreme Court Historical Society, the American Association for Justice and the American Judicature Society. Mr. Morganroth has been honored by numerous legal groups and associations as a top lawyer who has distinguished himself in many areas of the law, and he has been recognized as a preeminent lawyer in many publications. Mr. Morganroth is rated "AV Preeminent" by Martindale-Hubbell/LexisNexis, the highest possible rating in both legal ability and ethical standards. Mr. Morganroth has lectured at various universities and law schools throughout the country on varied legal topics, and he has been and is an entertainment industry consultant on several films and motion pictures.